The North Carolina State Archives house a collection of county court records so large many of them are still uncatalogued. Researchers have access to more than 9,000 bound volumes and 21,000 boxes, as well as over 24,000 reels of microfilm. In addition, the archives maintain original state records of the North Carolina Government dating back to the state’s earliest days. These records include both audio and visual materials. War records cover information from the War of 1812, the Civil War, World War I, and World War II. This is the largest collection of North Carolina military history in the country. The State Library of North Carolina contains an extensive microfilm collection. Of particular interest to genealogists is their microfilmed collection of North Carolina newspaper indexes. North Carolina published 2,000 newspapers since the “North Carolina Gazette” first appeared in New Bern in 1751. The library has access to information on nearly all of these newspapers. Other microfilm resources include military records, county records, census records, and records of the Cherokee Tribe. The Genealogical Society of Old Tyron County’s Archives emphasizes counties of Rutherford, Polk, and Cleveland. Visitors can access extensive collections of genealogical material from these areas. Some of these articles include 500 family histories, 3,000 genealogy books, and 60 heritage books from North Carolina and South Carolina. The Society also contain records from over 70 genealogical societies. Extensive information on immigration to North Carolina can be found here as well. Let us know if you would like one of our North Carolina genealogists to visit this archive. The Olivia Raney Local History Library contains a genealogical collection of over 18,000 items. The library is home to the Mollie Huston Lee Collection, which was named after the first African American librarian in Wake County, North Carolina. Mrs. Lee started a collection dedicated to the “African American” experience and collected both fiction and nonfiction works. Quaker populations that immigrated from Pennsylvania to North Carolina. Special manuscript collections contains articles that date back to the late 1800s and contains business, government, and family papers. 300,000 books and pamphlets, 6,000 printed maps and 50,000 reels of microfilm. 4 million photographs and 35,000 museum artifacts. Southern History Collection, which gathers articles from all of the southern states, including more than 15 million items that cover subjects including slavery, the Civil Rights Movement, the Antebellum plantation era, and the Civil War. 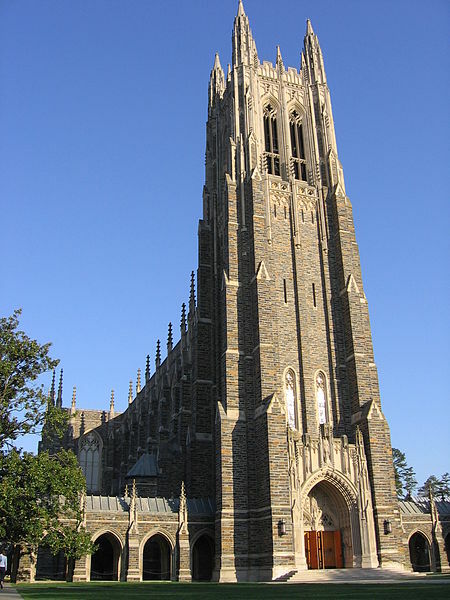 Duke University has several libraries, which collectively contain 17.7 million manuscripts, and 1.2 million public documents. Tens of thousands of films and videos are also located here. Two of their libraries hold significant genealogy resources. The William R. Perkins Library holds a substantial amount of Confederate imprints. These imprints include books, pamphlets, posters, newspapers, periodicals, and sheet music. All of these items were created in the Confederate States of America. The David M Rubenstein Library is home to the John Hope Franklin Research Center. The program collects published and unpublished primary sources that give information on the African Diaspora. Diaspora refers to the movement of African peoples from Africa to America and then throughout the country, mostly via slavery. Manuscripts, oral histories, many personal papers can be found here. Slaves were not legally allowed to marry. Therefore, cohabitation records are the best source for our North Carolina genealogists to help you search for information on slave families. These records were created to legitimize children who were born into slavery. The information may include names, birth dates or years, birthplaces, last known slave holders, and approximate year of cohabitation. In 1866 North Carolina made it a law for information on cohabitation records to be collected. This allowed for former slaves to have their marriages ratified. Many of these records are available on microfilm at the North Carolina State Archives. Many other excellent resources for genealogical research of North Carolina ancestors are located in archives outside of North Carolina. We have genealogists working throughout the country who can investigate these archives for information about your ancestors. The Chattanooga Public Library is home to the largest family folder collection in the Upper South. These records focus mainly on Tennessee and North Carolina and hold 30,000 books, manuscripts, and genealogical periodicals. The Knox County Public Library is also located in the East Tennessee Historical Building along with the historical society’s archives. This library is home to the Calvin M. McClung Historical Collections, one of the country’s leading databases of information on the East Tennessee region. It contains an extensive, highly regarded index of early North Carolina families. Researches have access to more than 75,000 books, 3,000 genealogies, manuscripts, censuses, and state and local documents. In addition, they can find information using Knoxville city directories, maps, and photo, as well as research guides and census records for many states (primarily southern states). Our North Carolina genealogists specialize in researching several types of documentation and are not limited to the list above. For more information or specific inquiries about our North Carolina genealogists, please feel free to contact us.